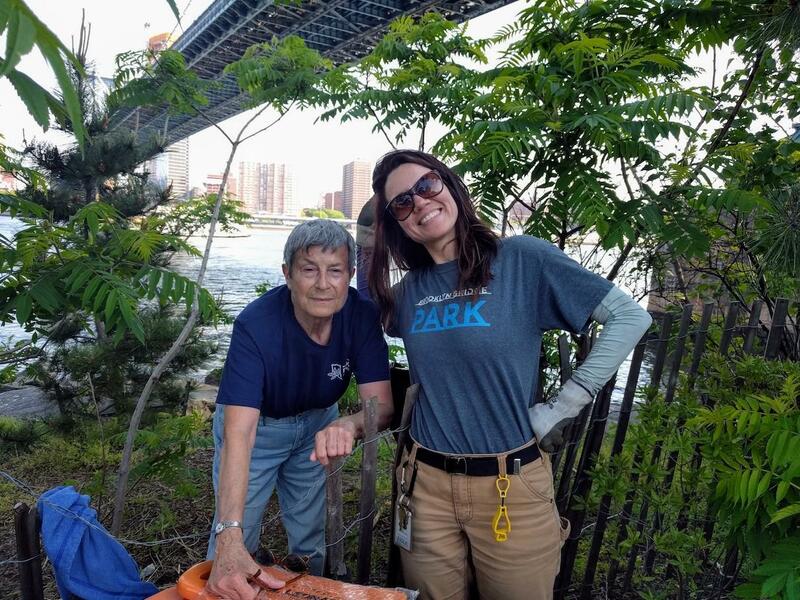 Our 2017 Volunteer Season has come to a close, and it has been another successful year at Brooklyn Bridge Park! This year, 784 volunteers participated in over 15 volunteer assignment types and logged over 3,700 service hours. They helped through activities like Green Team, Coastal Cleanup, Park Peers and TIDES. Green Team continued to be our most popular event among volunteers. 172 individuals helped the park over 21 sessions held throughout the summer, making up about 16% of our volunteer force. Projects included weeding and mulching, cutting back grasses, planting and transplanting new vegetation and watering the lawns. All together Green Team volunteers removed 40 cubic yards of weeds and placed 75 cubic yards of mulch throughout the park. With more sections of the park opening there will be even more exciting projects and opportunities to look forward to next year. Coastal Cleanup, our other drop-in volunteer program, also saw significant attendance. 77 volunteers joined us over five sessions to help clean the Park’s coastline. 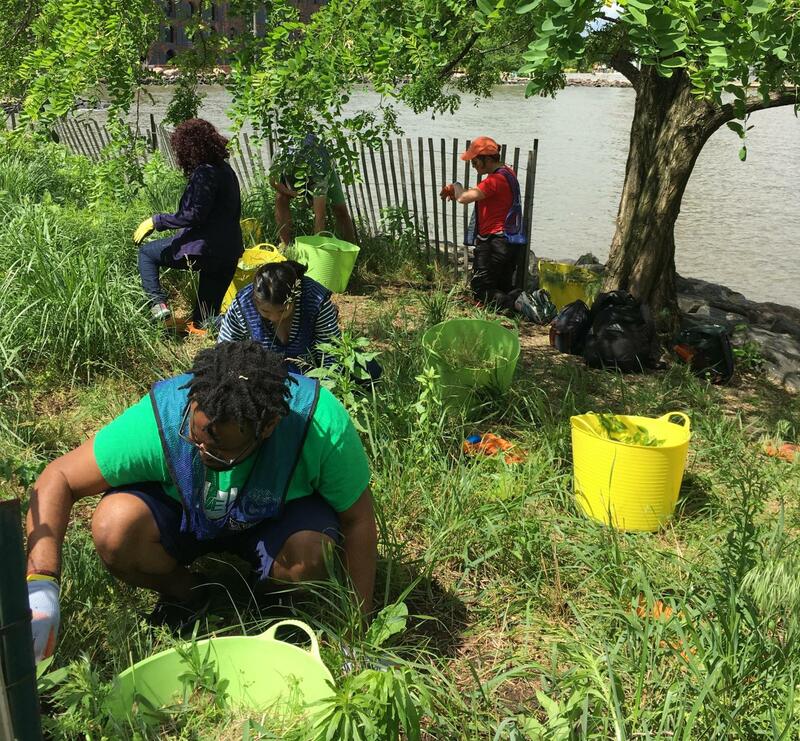 They helped remove over 270 pounds of trash from the East River! 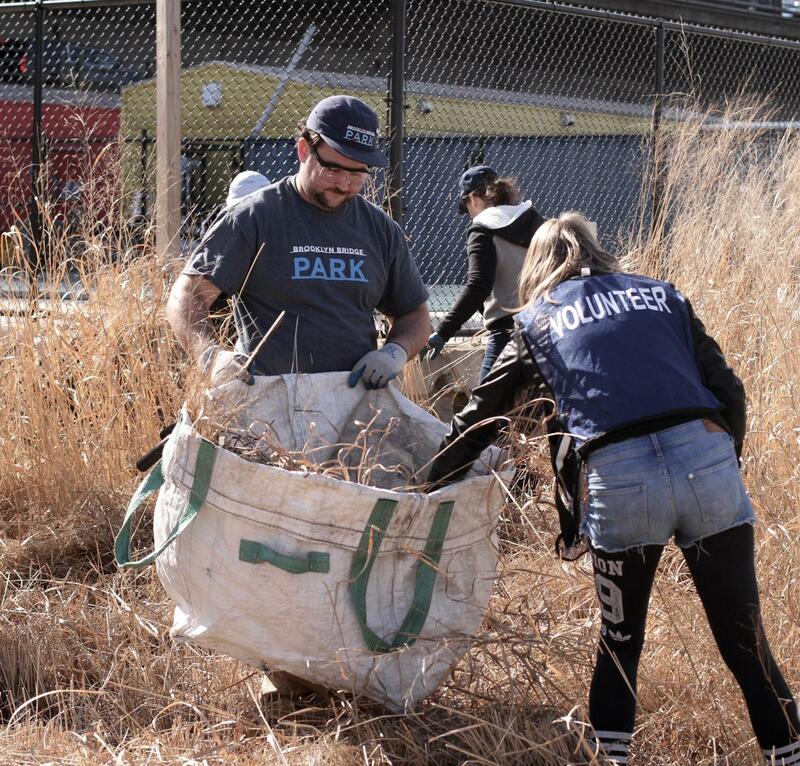 Park Peers, our new addition to the volunteer program, saw 43 volunteers participate. TIDES continued learning about the local ecosystems, sustainability and community responsibility and activism in 2017. And our enthusiastic Park Greeters team helped nearly 3,000 visitors in the park this summer by answering questions, providing directions, and distributing park calendars and maps. We look forward to another Volunteer Season in 2018, kicking off with Film Committee meetings in January and Spring Spruce Up & Cutback in March. Keep checking our volunteer page for information about next year’s volunteer activities and dates. To all of our 2017 volunteers, both returning and new, thank you for another amazing season in the park!